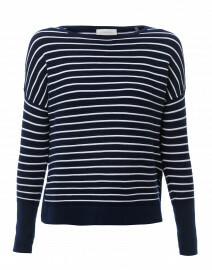 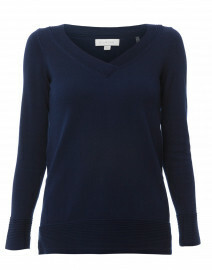 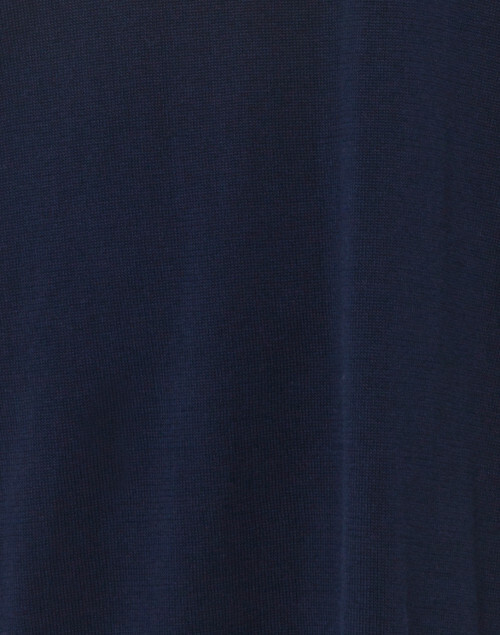 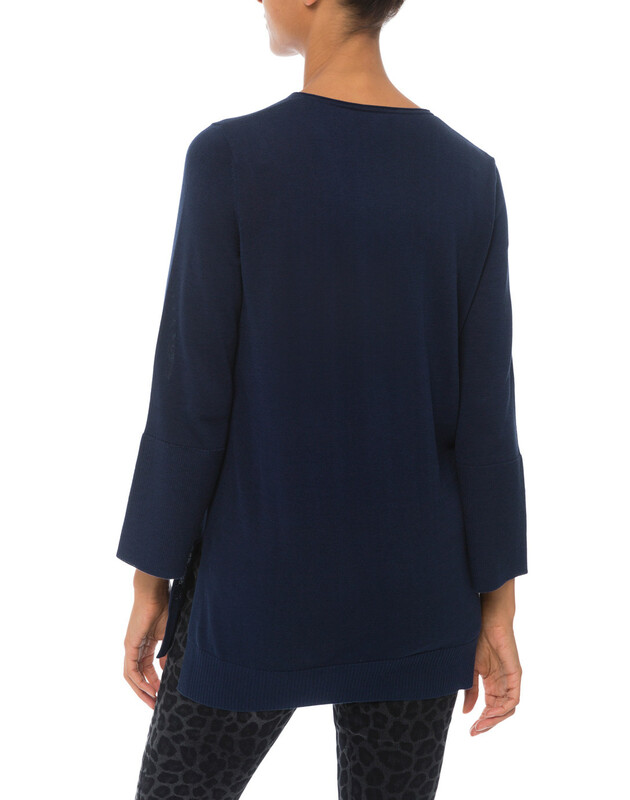 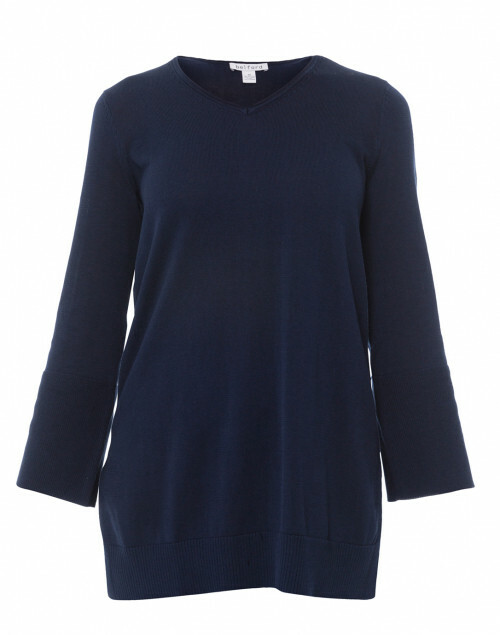 Belford is renowned for exquisite knitwear, as seen in this eclipse navy tunic sweater. 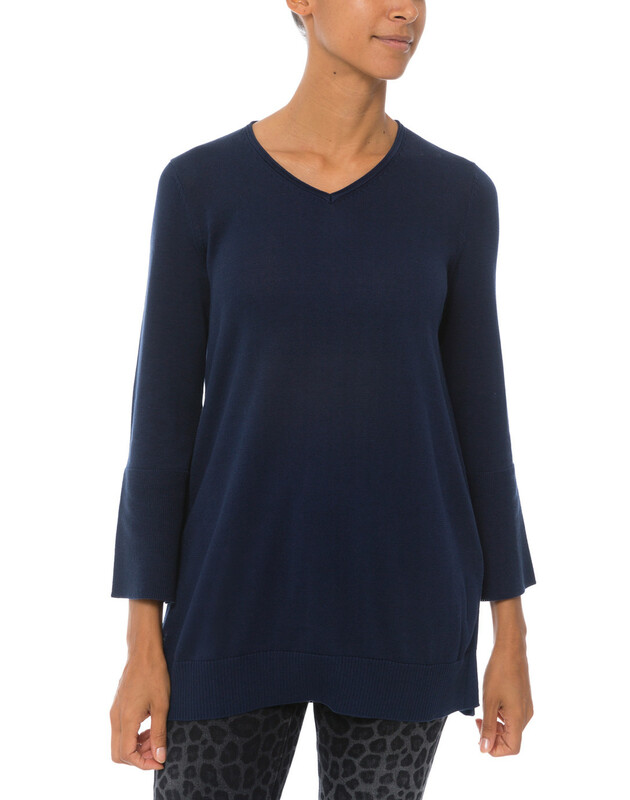 It's crafted from lightweight cotton and shaped with long flared sleeves, V-neckline, and side slits. 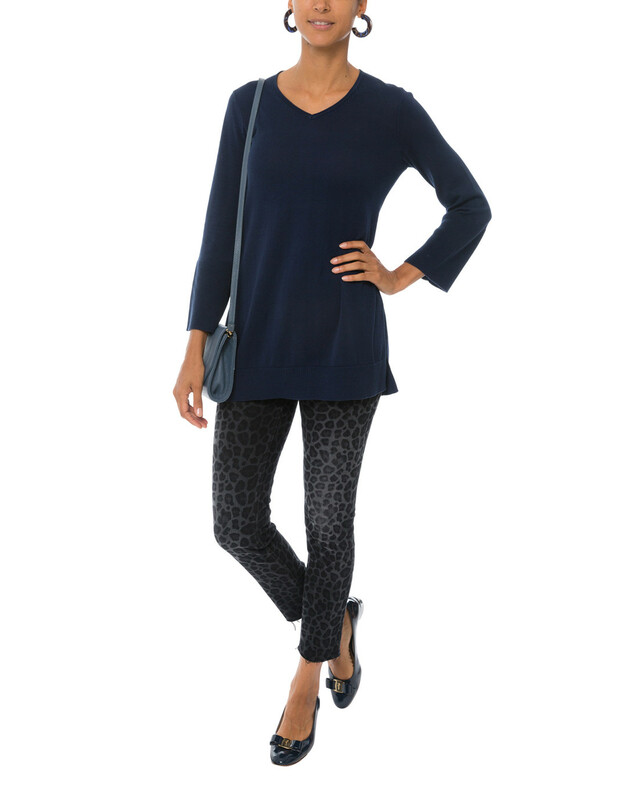 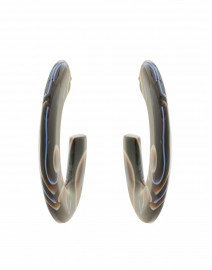 Team it with slim jeans and statement earrings for a an effortlessly modern, casual look. 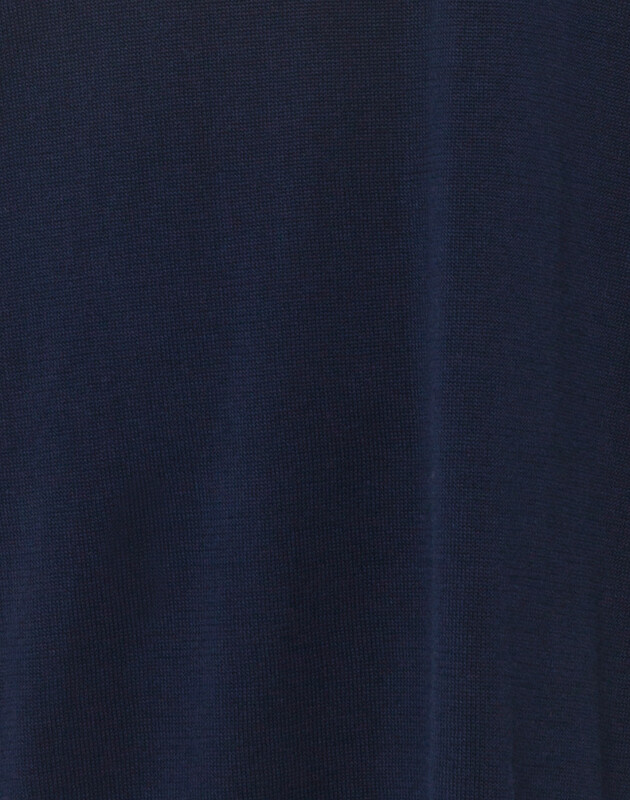 Length 28" 29" 30" 30" 30"
Shoulder Width 14" 14" 15" 15.5" 16"
Bust 37" 40" 42" 44" 48"
Waist 37" 40" 44" 46" 49"
Hip 39" 41" 42" 46" 49"
Sleeve Length 22" 21" 21.5" 23" 23"